It’s hard to resist a platform where 98% of target audiences read your content. But is your messaging compelling enough for the simple style of SMS? Give your SMS a competitive edge to deliver unprecedented marketing results. Reading text messages is an impulse for mobile users. This puts them in a higher bracket than targets in other marketing strategies. But you need data to learn how SMS drives business results. And there is less flexibility when it comes to SMS content. There are no design aspects involved, and only a limited number of characters to work with. Marketers can track clickthroughs to judge how their campaigns are performing. This helps them determine what kind of content is working as well. But are those clickthroughs translating into real business value? All marketers must distinguish performance based on their marketing initiatives. But the ways in which they track performance differs from one initiative to another. For example, email content will perform differently than SMS. Both email and SMS calls to action (CTAs) can direct customers to the same promotions. But types of responses will differ between channels, no matter how many clickthroughs. That’s why it’s critical marketers track their email and SMS campaigns separately. Marketers can use real business data to optimize those campaigns. They can identify which promotions and content work best for each channel as well. 90% of customers who open your SMS messages will read them within three seconds. Countless customers will delete your emails without finishing the subject line. What will your SMS message say to take advantage of that exposure? How will you measure and optimize campaigns to drive better results in the future? SMS poses great opportunities for marketers, even with its limited characters. If you’re not optimizing your campaign, you’re just creating noise. Worse yet, you could be turning customers away. SMS marketing is very approachable. You could get started today. But you’ll sabotage your SMS campaign without optimizing it for your audience first. 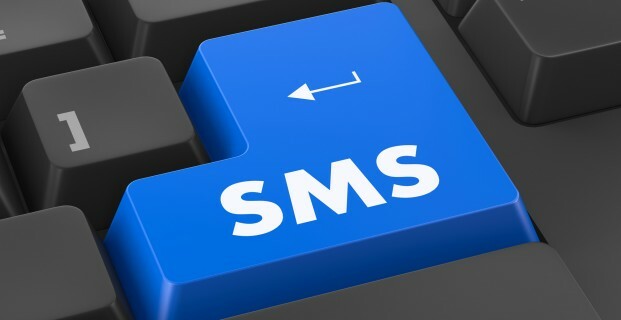 Adopt the following five strategies today to improve SMS marketing. You don’t know how your customers will respond to your campaign. Be sure you’re ready to optimize because it won’t be perfect from the start. You should have a premise for your SMS strategy. You should have customer personas designed and the data you need to engage them. Early conversations about compelling content might be underway. But your original content will only get you so far. And you could quickly wear out customers who aren’t interested in your offers. Tracking your campaigns via analytics helps you overcome these problems. The right performance data helps you optimize content and targeting. It helps you distinguish SMS performance against other initiatives as well. Build custom URLs for each SMS initiative and connect them to Google Analytics. Your customer URL should align with all the parameters of your SMS campaign. Incorporate elements and identifiers for your campaign. These can include special targeting, A/B testing, or differentiators between specific strategies. You will have separated your campaign into branches you can track and improve. Take extra care when building tracking links. You need a custom URL structure you can scale out with future campaigns. Your links will contain important elements of your campaign and how you track performance. You will create links using a combination of information. This can include campaign names, sources, and the website URL to which you’re directing traffic. Think of these elements as a form you need to fill out for each campaign. You should have a structure that lets you tracks all future campaigns. They make it easy to compare performance across campaigns as well. You won’t gain insights from your campaign without tracking the right statistics. Many marketers fall short in that they don’t track true business drivers. They may not develop insights that help improve aspects of their campaigns. Your first metric is your opt-in population. This is the number of recipients of your message. Many of these recipients won’t open your message or they won’t be relevant to them. This is a pool from which you can start measuring campaign effectiveness. However, it will not represent the targeted group of your campaign. Your new subscribers are those who opt-in after your campaign begins. This is a good starting metric for your campaign. This should be compared to your quit rate, which represents recipients who decline all future messages. Your response and conversion rates directly reflect the performance of your campaign. Responses are clickthroughs and your conversion rate represents clickthroughs that lead to sales. You want to see both steadily increase per each iteration. Finally, you want to see improvements to your bottom line. This helps you determine if the campaign is a success. You will compare trending sales value to the overall or ongoing costs of the campaign. Tracking stats is great for measuring performance goals. You can use them to optimize content as well. Try creating two types of messages to the same audience. Incorporate slightly different calls to action in each message. Run A/B testing to see which performs best. You may have substantially better performance with one message. Then you have better insight into successful content. You can compare performance data across targeted groups as well. Your SMS campaign is more than targeting and metrics. It’s about great content that drives customers to purchase. Your customers don’t want advertisements. They want to be inspired. Your SMS campaign should be aligned with an inbound strategy that puts customer satisfaction at the forefront. You have very few characters to inspire your customers. They know this. And that is your advantage. Create amazing content that thrives within those limitations. Get to know your customers and deliver the things they love. If you can create value in 160 characters, you’re on your way to success. You have an outstanding idea for your next SMS campaign. Launching that great initiative needn’t be a challenge. UltraSMSScript is an easy-to-use, web-based SMS platform that simplifies even sophisticated SMS campaigns. Try Our Free Demo and put your SMS strategy into action today.